“These assets are highly sought-after, especially given lack of opportunities to acquire these types of deals in the market,” says HFF's José Cruz. 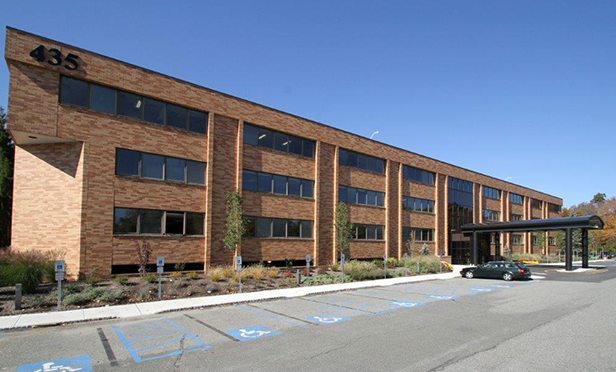 MORRISTOWN, NJ—Chicago-based Harrison Street Real Estate Capital acquired a 538,107-square-foot, three-building, class A medical office complex in Morristown, NJ, in the largest medical office sale this year in the state. Steve Lubetkin is the New Jersey and Philadelphia editor for GlobeSt.com. He is currently filling in covering Chicago and Midwest markets until a new permanent editor is named. He previously filled in covering Atlanta. Steve’s journalism background includes print and broadcast reporting for NJ news organizations. His audio and video work for GlobeSt.com has been honored by the Garden State Journalists Association, and he has also been recognized for video by the New Jersey Chapter of the Society of Professional Journalists. He has produced audio podcasts on CRE topics for the NAR Commercial Division and the CCIM Institute. Steve has also served (from August 2017 to March 2018) as national broadcast news correspondent for CEOReport.com, a news website focused on practical advice for senior executives in small- and medium-sized companies. Steve also reports on-camera and covers conferences for NJSpotlight.com, a public policy news coverage website focused on New Jersey government and industry; and for clients of StateBroadcastNews.com, a division of The Lubetkin Media Companies LLC. Steve has been the computer columnist for the Jewish Community Voice of Southern New Jersey, since 1996. Steve is co-author, with Toronto-based podcasting pioneer Donna Papacosta, of the book, The Business of Podcasting: How to Take Your Podcasting Passion from the Personal to the Professional. You can email Steve at steve@statebroadcastnews.com. Are Opportunity Zone Benefits All They Promise? The offering provides “an open canvas to developers for a multi-year phased development plan with a goal to jumpstart and stimulate redevelopment in the city’s Urban Core,” the city states. Although the hotel industry has been operating at peak levels for several years, accelerated supply growth, which has been readily absorbed in most markets due to the expanding economy, has contributed to weaker than normal average room rate growth. Torrey Square posted the lowest base rent per-leased-square-foot in Whitestone’s wholly-owned portfolio. Since its IPO in 2010, Whitestone has improved its base rent per leased square foot by over 80%.